Rather than Democracy, Corporatocracy – or the power of corporations- determines the fate of our own Victorian fauna Emblem. 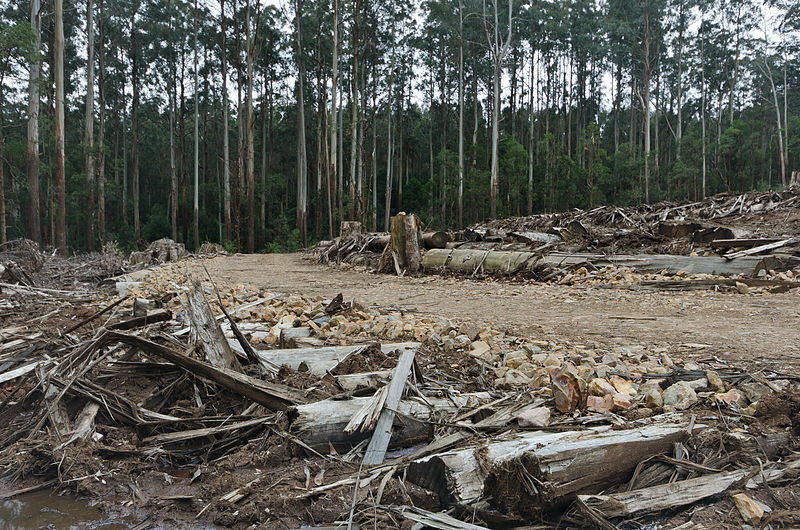 The decision to set up a taskforce to strike a “consensus” followed pressure during the campaign from the Construction, Forestry, Mining and and Energy Union, which had threatened to campaign against Labor on concerns that ending logging in the area would threaten Gippsland jobs. Threats against “jobs” is more important than small and seemingly insignificant fairy possums! VicForests’ latest annual report suggests “ending logging before the 2018 election could be difficult”. Their annual report shows they’ve negotiated various contracts to harvest and haul 900,000 cubic metres of wood a year for the next three or four years! The same State government can’t endorse a new national park, and also be the owner of VicForests. It’s a contraction of terms, and a conflict of interests. What this national park needs to protect is the ancient old-growth forest of Mountain Ash, and threatened native species, not the “logging industry and jobs”! Economic growth and jobs will eventually eat up all our natural resources! What needs protecting can’t have the same owners that threaten to destroy it, for short-term monetary gain. Our State’s fauna emblem, the Leadbeater’s Possum, needs protection from the same State government that is threatening the park’s implementation. The Victorian state government revealed long-awaited terms of reference for an industry taskforce, established to navigate the explosive battles between loggers and environmentalists over the state’s native forests. The taskforce will investigate issues including protection of threatened species such as the Leadbeater’s possum, job protection and economic activity. Logging, conservation of the possums, are in direct conflict. How is this impossible task to be negotiated? You can’t have the old growth forests intact, and also have them chopped down, with Leadbeater’s possums losing their only homes? Opening up the canopy of the forest will make them more vulnerable to fires, then the problem of the pesky possums will be solved- “naturally”. Their final demise, extinction, will solve this tricky problem. Native forests animals are a threat to job protection, and constrict economic activities! Conservations and scientists — including David Attenborough — have long argued that the park is needed to protect the possum, which is believed to be perilously close to extinction. 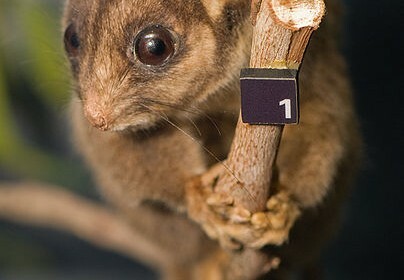 Clearly, “conservation” of logging jobs has priority over the conservation of our native animals, even threatened ones. They prefer the possums go extinct rather than have logging jobs threatened. The mighty dollar has enormous power to wield over these decision, and the Great Forest National Park would be a threat to incomes! Lobby groups with vested interest in jobs, and logging, need to be given the chop! The CFMEU want access to the forests for the benefit of their members. This “blow” to the forest plan needs to be dealt with internally, from the State government. The government’s position on logging in native forests is ambiguous, despite promising a special taskforce to examine the issue and help secure the long-term survival of Victoria’s iconic Leadbeater’s possum. In Greek and Roman mythology, the Gordian knot was an extremely complicated knot tied by Gordius, the king of Phrygia in Asia Minor. Located in the city of Gordium, the knot came to symbolize a difficult problem that was almost impossible to solve. Alexander the Great’s solution to the problem led to the saying, “cutting the Gordian knot,” which means solving a complicated problem through bold action. The bold action needed in this case is to make the brave, courageous and glaringly obvious political decision – the implementation of the Great Forest National Park! Not all groups can be appeased, especially if their aims are purely monetary and short-term. You can’t have contradictory policies, and you can’t have your cake and eat it too!